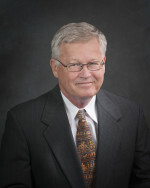 Robert L. Shaver began practicing in Boise in 1995. Bob has worked on patent, trade secret, copyright, and trademark litigation, and the drafting and prosecution of patent and trademark applications. Bob has been a registered patent attorney since 1998. He has been licensed to practice law in the states of Washington and Idaho, the Federal District of Idaho, the Ninth Circuit Court of Appeals, and the U.S. Patent and Trademark Office. Mr. Shaver transferred to Senior Status in the state of Idaho in 2018, with similar designation in the state of Washington. Mr. Shaver continues to assist the firm as a registered patent agent with the United States Patent and Trademark Office between a variety of retirement pursuits including backpacking the Camino Trail in Spain in 2018 and the John Muir Trail, as detailed on his blog Backpacking Technology. Mr. Shaver’s background includes twelve years of experience working as a scientist on the Hanford Nuclear Reservation in Richland, Washington. His work at Hanford included developing computer expert systems for hazardous and radioactive waste, inspecting analytical laboratories throughout the United States, and designing software for performing computer simulations of the Hanford site for waste generation projections. He also worked in the analytical chemistry labs at Hanford. In addition, Robert L. Shaver holds statewide pesticide consultant and statewide tree fruit consultant (Washington state) licenses. Mr. Shaver worked for seven years in the food processing industry in the areas of new product research and development, microbiology, and quality assurance, and spent two years in the aluminum industry in analytical laboratories. He has experience in mechanical fields, microbiology, analytical chemistry, hazardous and radioactive waste, environmental compliance, software development, horticulture, food processing, metallography, and construction. The Bicycle Technology and Patents, a blog on the history of bicycle technology, recumbent bikes, and general bicycle topics and patents. Patent Pending Blog, a blog covering the history of technology, and including information relevant to independent inventors, small businesses, and intellectual property law in general.